Smith Island, on the Chesapeake Bay, is among America’s more eccentric locations for a number of reasons. It is located in the middle of the bay, so it is accessible only by boat. Visitors must travel to it via ferry from Solomons, Maryland, on the western shore of the bay or Crisfield, Maryland, on the eastern shore. 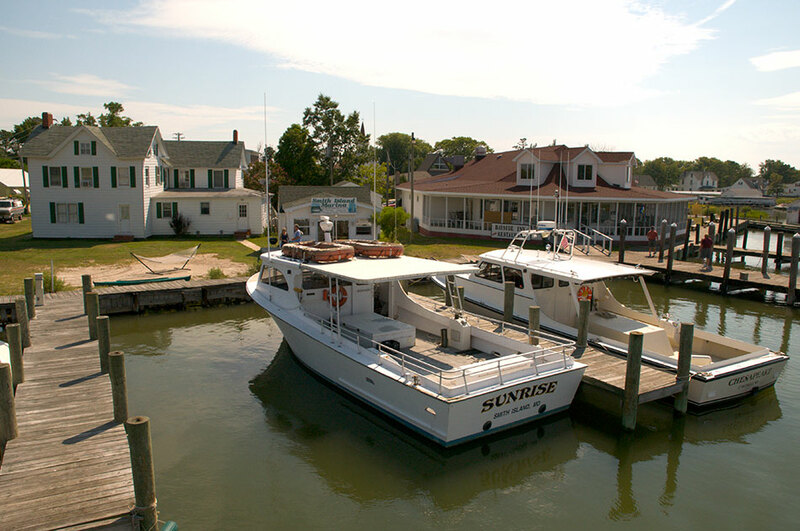 The island’s approximately nine square miles are split between Maryland and Virginia. Its northern part is the Martin National Wildlife Refuge in Maryland and the southern part is in Accomack County, Virginia. The third eccentricity is that it is shrinking. If you are interested in visiting the island, I suggest you get on with it. The island has been shrinking for several centuries because of erosion and its low elevation and has lost more than 3,300 acres of wetlands over the past century and a half. Restoration efforts are aimed at recovering more than 2,000 acres. Other nearby islands on which relatives of Smith Islanders lived for generations, such as Holland Island, are now gone or almost gone. The island’s lifestyle also is endangered. Home to almost 1,000 people a century ago, its population has shrunk to about 250 people as young people have left to seek jobs on the mainland. 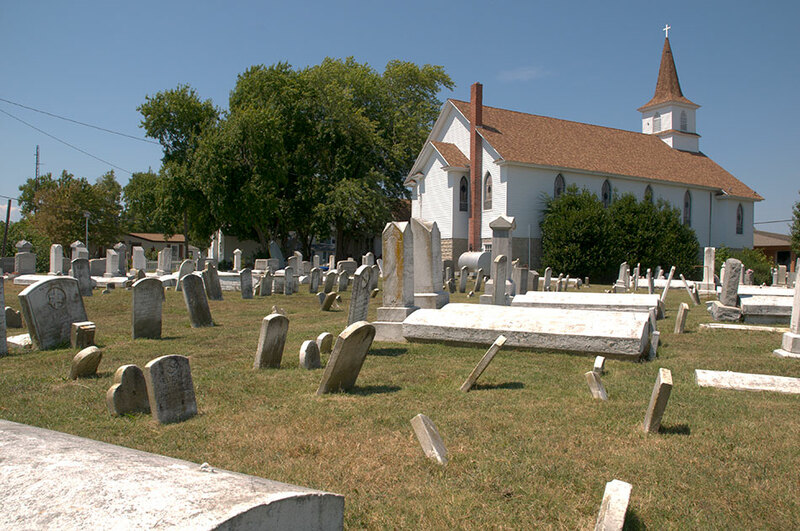 Smith Island descendants are found all over the United States today. 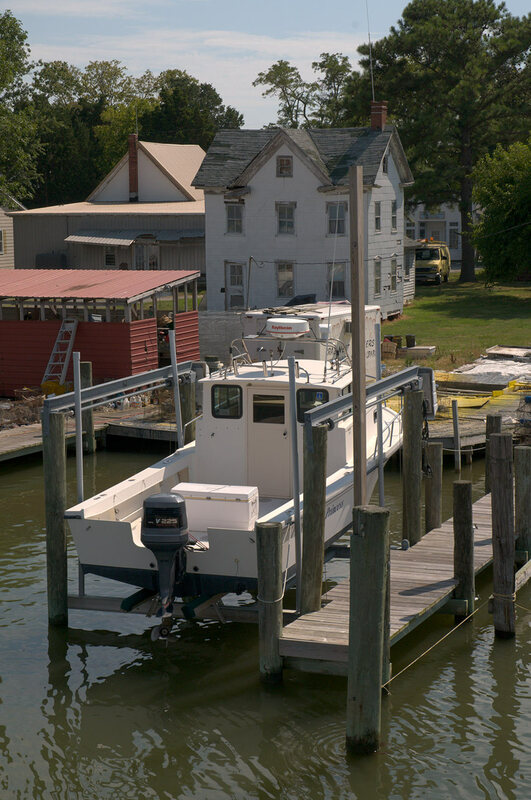 Below, this photo encapsulates the Smith Island lifestyle - a two-story white house and a boat. 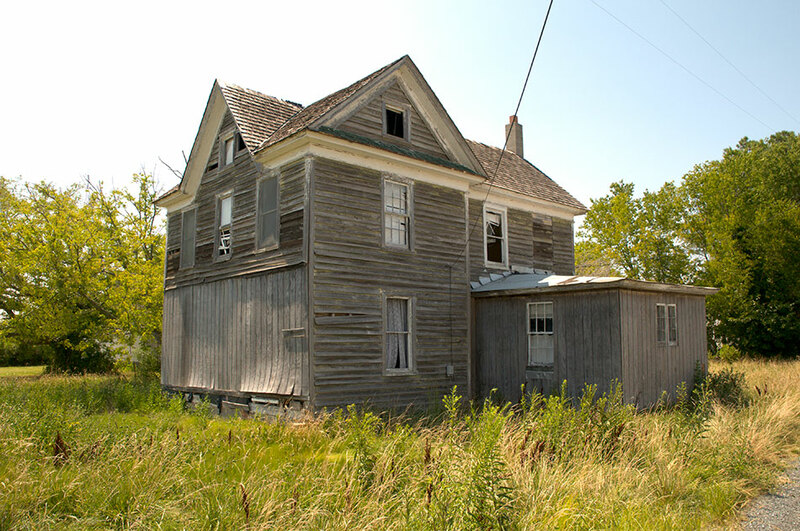 Abandoned homes are common on Smith Island as their former residents have deserted them for the mainland. 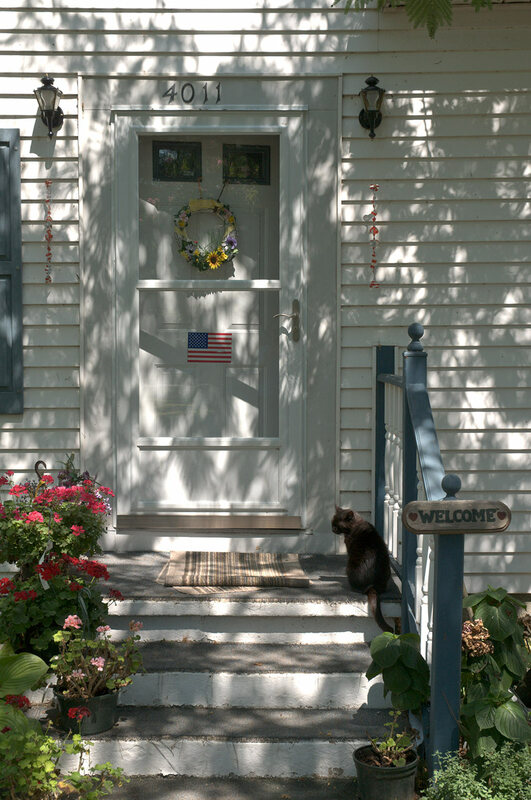 Smith Island's colorful history includes pirates, one of America’s most famous preachers, a British troop encampment during the Revolutionary War, slavery and an oyster boom that temporarily made it one of the most prosperous places on the bay. The island was settled by English emigrants in the 1600s and named after Henry Smith of Jamestown, who was granted 1000 acres in Maryland in 1679. The land on Smith Island was not well suited for anything except cattle grazing, so the emigrants turned to the water for their living. Most of America’s soft-shell crabs are caught within 50 miles of Smith Island. 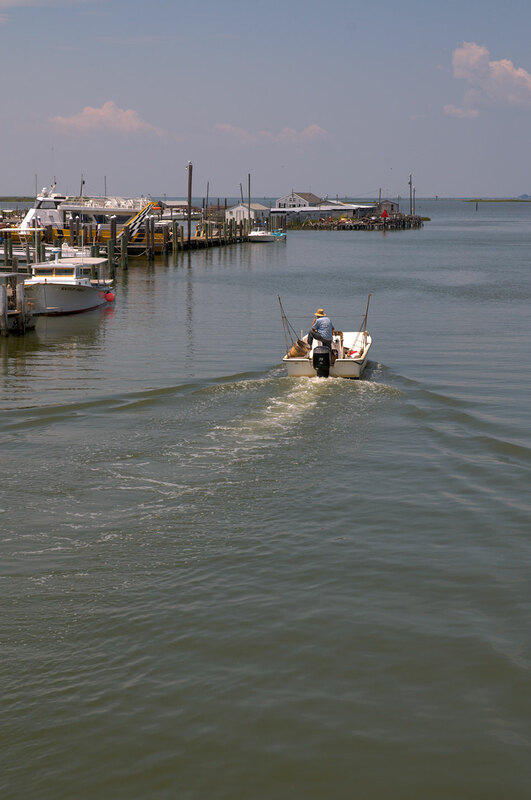 Smith Island watermen harvested oysters from the bay in the late 19th century and shipped them via railroad all over the country until the oyster supply gave out. 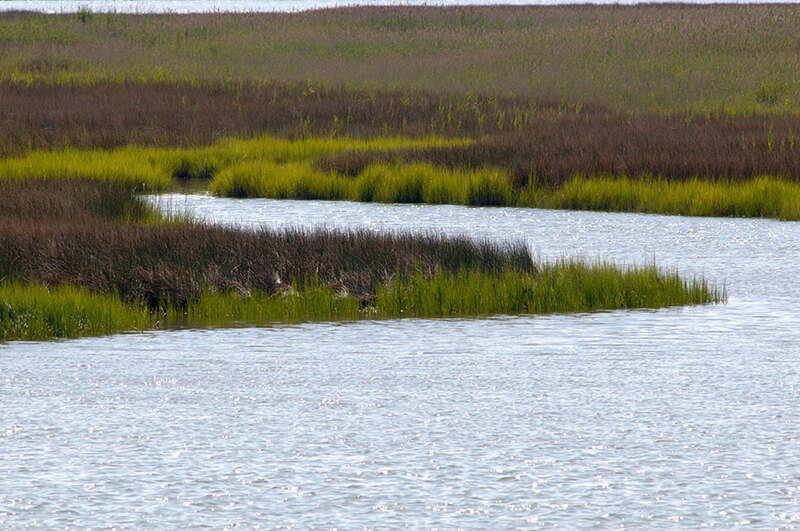 Smith Island watermen temporarily became rich on the 19th century oyster boom. The relative social isolation of the island peoples of the Chesapeake Bay made their genealogical lines into a hopeless tangle as cousins from nearby islands married each other over many generations. The island has an early history of piracy, which was quenched by a local waterman turned preacher named Joshua Thomas. 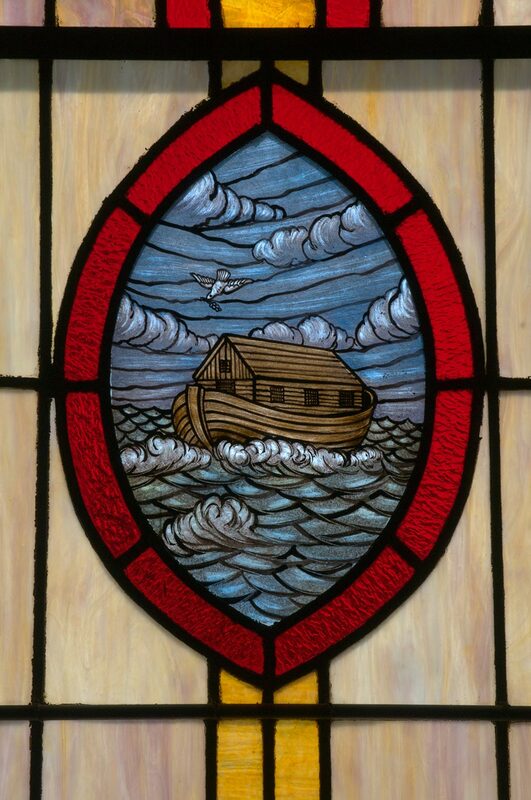 Thomas traveled in his log canoe all over the bay’s islands and coasts preaching Methodism and persuading waterman who engaged in piracy to give up their violent ways and become devout Methodists. The rough, unlettered preacher was so successful that he almost wiped out piracy on the bay. His persuasive skills also protected the islanders from British troops who camped there on their way to being defeated near Baltimore during the Revolutionary War. Thomas had predicted their defeat to their commander, and was vindicated when the stragglers from the battle stopped at the island in their retreat to tell him that he had been right. Descendants of Thomas’s family and others who heard Joshua Thomas preach such as the Evans and Bradshaws continue to attend the island’s church, the Ewell United Methodist Church, today. Some of their ancestors who owned slaves freed them under Thomas’s influence. Annual Methodist camp meetings started by Thomas became a tradition on the island. The church continues to be an important part of the islanders’ life style, and the island is dry as far as alcohol is concerned although visitors are allowed to discreetly bring their own liquor. 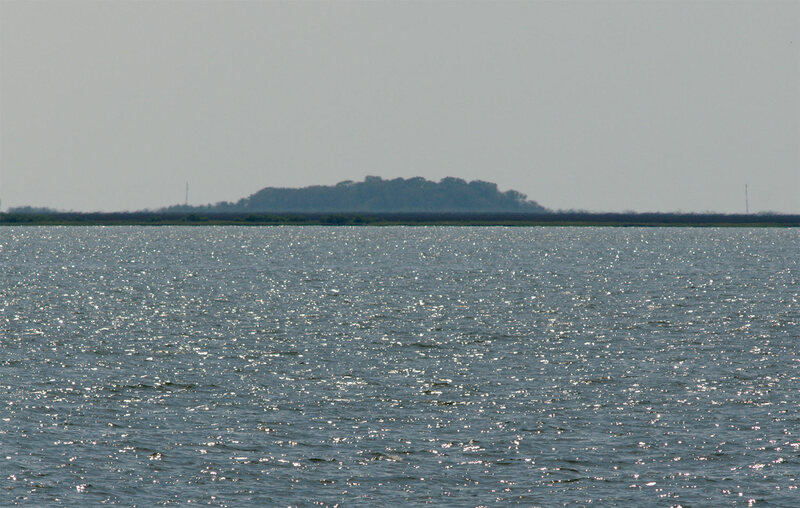 The island is actually many low marshy islands, most less than four feet above sea level. Two of its three communities, Ewell and Rhodes Point, are connected by a 1.5 mile road and the third, Tylerton, can be reached only by boat. Tylerton children make a daily boat cruise to school in Ewell. 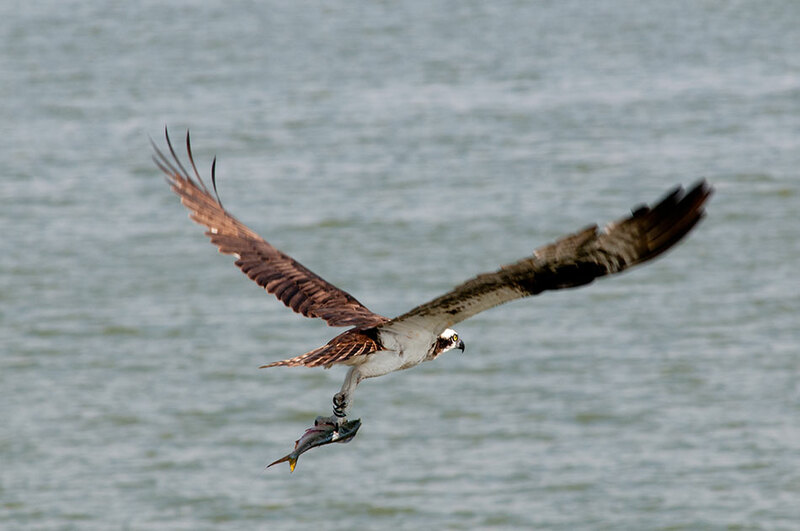 Osprey such as the bird below are common water fowl seen around Smith Island. The islanders have a distinctive local dialect that is similar to the brogue spoken on other islands along the east coast. 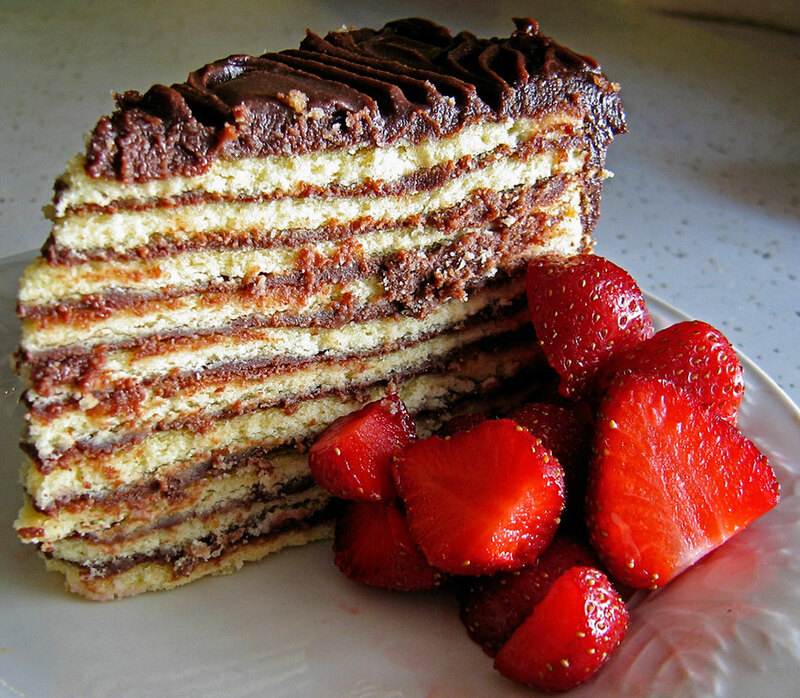 The island is famous for its Smith Island Cake, which has 8-15 thin layers filled with icing. During the oyster fishing boom in the bay in the 1800s, Smith Island women would send these layer cakes with their watermen husbands, who would be out on their boats for days harvesting oysters that were shipped on the railroads all over the United States. The many thin frosted layers kept the cake moist over several days. Smith Island Cake, Maryland’s official state dessert, is available at the local restaurant near the ferry dock on Smith Island. The Smith Island Baking Co. on Smith Island ships the famous cakes all over the world. All photos are by Forrest Anderson except the one of the cake, which was taken by Jane Thomas and is available under a Creative Commons license.